At least 20,000 people are expected during the whole weekend, and the scope of this year’s festival is bigger than it’s ever been. “I think we’re growing at a pretty astronomical rate…70% of our crowd has been there for a couple of years, and come back every year… people know who we are now, it’s taken a while,” declared James Faith, co-mastermind of the festival. Faith is a musical jack-of-all-trades, having been both a performer onstage and holder of various positions behind the scenes for over 35 years. He is currently President of James Faith Entertainment and Chairman and founding member of the Long Island Music Hall of Fame. Faith is quick to point out that the event doesn’t become a success solely through his efforts “It’s a family thing…It’s the four of us basically doing everything” he emphasized, acknowledging the hard work of his partners Joe Tesoriero, Joe’s wife Grace, and Faith’s daughter Jamie who handle such vital aspects as advertising, booking, artwork, vendors, the infrastructure of the festival and lots more. In the land of the cover band, Faith seeks out original acts. 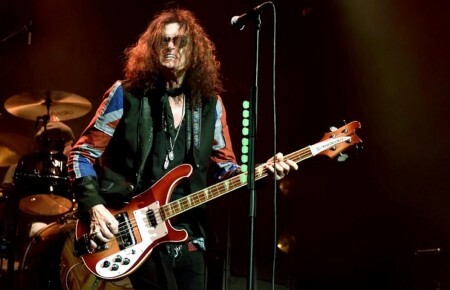 “Tribute bands or top 40 bands…bring in a lot of people, they have a lot of work…It’s the original bands that have a hard time, they’re the ones that have no place to play,” he said. Not booking acts with a guaranteed audience is taking a chance, but Faith and his partners believe it’s worth it. “So we kind of risk not being able to do what we want to do by putting [the bands] on, but I’d rather do it that way and…give these people the opportunity to put their music out there and hopefully further their careers,” he said. 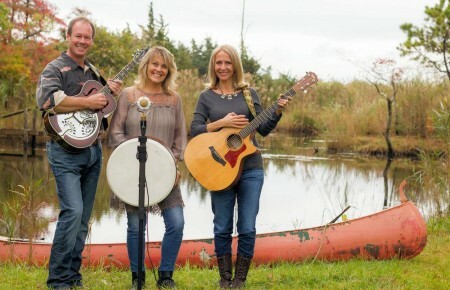 Such artists seem to have discovered the opportunity that the festival is offering—submissions from local musicians vying for a spot on the bill jumped from around 50 in 2007 to over 700 for this year. “It’s hard to say no to so much local talent, but we only have so many spots,” Faith said, apologetically. It’s a far cry from the two aborted Calverton festivals planned back in 2003, one of which, the Bonnaroo Northeast festival, would have been headlined by Bob Dylan, The Dead and Tom Petty. “That would have been a really great festival,” Faith said. When [politics are] with you it’s great, when it’s against you, forget it! 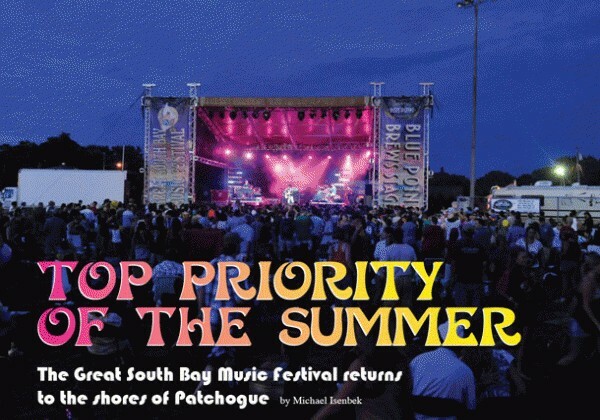 They can bury the best thing on the planet.” In terms of welcoming the Great South Bay Music Festival, Patchogue Village administration is an entirely different story. “They literally met us in the middle of a blizzard, that’s how organized and motivated they were. They were very cool and to this day are very cool,” Faith said with gratitude.